Will a bone chilling cold shower be good for your health? We got caught up with this possibility in our quest for weight loss. You see, we had reached a stubborn weight loss plateau. With subcutaneous fat that just would not go away, although we had got rid of all the visceral fat. Try as we might we could not lose the ugly belly fat. That is despite High Intensity Interval Training (HIIT), ab exercises, eating extremely well and cutting out sugar completely. That is when thought adding a cold shower might be a good idea to the regimen. Perhaps we could shock the body into behaving. Humans have been using cold showers and baths for millennia. Romans loved their bathhouses with a combination of steam rooms, hot tubs, and cold baths. Victorian England had cold baths, frequently prescribed for bruises and hysteria. In Asia too, hot and cold baths tubs have been used for centuries. Chinese medicine has a long tradition of using cold water for health. I remember getting into an alternating hot and cold bath in Macau made me faint. A good lesson on how to be careful. Most of the world still uses cold water for showers because they simply cannot afford hot water. Perhaps that’s why they are skinny. In the Western World with the advent of piped instantly available hot water, we have forgotten the health benefits of cold water. It has made our skin age, weakened our immune system and brought disease. With clenched teeth and mental preparation we jumped into the cold shower. One word of advice. If you have a heart condition or some other illness do not attempt this. The best way is to put in your the head first, and then step in and step out of the shower a little and then finally the body. Then step back, soap yourself and get back in under the shower. If you immerse yourself completely at once the shock to your body might be too much. It could increase the heart rate, cause mind numbing headaches and uncontrollable shivering. Some have said it is better to have a warm shower first, but doing so might nullify the effect of a cold shower. The hot and cold exposure can also give you an instant sore throat. If you are doing it, only use cold water is our advice. But you will scream each and every time. We felt alive. Overnight we lost about one pound of weight. We lost another pound the second day. Not sure if it was related to the cold shower. Perhaps it was because we quickly got into warm clothes, got into bed and slept like a baby for eight hours. We were so impressed we thought we could get away with eating ice cream, cake and an extra dose of carbs. Big mistake. Our weight loss per day went to 0.5 pound and then to 0.25 pounds. So we went back to our normal Keto diet routine. The weight loss then returned, but not at the rate it was before. Perhaps around 0.5 pounds per day. That was good enough, because we didn’t want to lose weight too fast. It’s unhealthy and could give you lose skin. A few days of cold showers seems to improve our skin. We did get a pimple on the cheek on the first day. Maybe all the toxins were coming out? It is certainly was a possibility. But it cleared up within two days, never to return. One thing for sure, we had a lot more energy. Digestion seem to improve. We got more enthusiastic about food, since the taste of food seemed better. Maybe it was a placebo effect. If this is was a placebo we will still take it. Placebos are free. Drugs are expensive. 1. Reduced Fatigue – This study found  repeated cold stress was effective against reducing fatigue and chronic fatigue syndrome. The test used a treatment of adapted cold showers at 68°F (20°C) for 3 minutes, preceded by 5-minute gradual adaptation) twice a day. This small study found alternating hot (96.8°F/36°C) and cold (53.6°F/12°C) water immersion reduced the plasma lactate (an indicator of recovery) after intense anaerobic exercise. 2. Weight loss – According to this study  head-out immersion in cold water of 68°F (20°C) almost doubles the metabolic rate, while at 57°F (14°C) it is more than quadrupled (350%). We all know that to increase weight loss we have to increase our metabolic rate. 3. Improved immune Function – The above listed study  also found a decrease in Cortisol – Cortisol can help control blood sugar levels, regulate metabolism, help reduce inflammation, and assist with memory formulation. This German study also found benefits for respiratory infections and improved subjective well-being in patients with COPD. All swimmers who suffered from rheumatism, fibromyalgia, or asthma, reported that winter swimming had relieved pains according to this study. . Probably the most dramatic example is the case of Wim Hoff who has proven that the immune function can be dramatically improved with exposure to cold. Watch his video shown below. 4. Reduced water weight – According to above study  diuresis was increased by 163%. – What it means is an increase urine production. No wonder we always felt the need to pee after a swim. That may be a great way to flush out your system and remove excess water weight from your body. Just make sure you drink enough water after a cold shower and replenish vital nutrients which will sail away with increased urine production. 5. Depression - The study  also showed a 250% increase in Dopamine. As we age our Dopamine concentrations decrease according to Livestrong. Dopamine regulates mood, behavior, sleep, cognition, motivation and reward. So an increase in Dopamine might be a good way to improve these conditions. 6. Beautiful skin – Unfortunately there no studies on cold water and skin improvement. Guess there is no money in it. But we can use crowd sourced information by watching YouTube videos where many people will testify that cold showers improved their skin. The include acne conditions and improved hair. What we do know is that hot water tends to dry out your skin and wash away natural healthy oils on the skin. My dad finds that cold showers eliminated his constant itching when he visits California. Cold temperatures tighten the skin and also seems to make it more flexible. Watch this video below of two people doing an experiment with cold showers. 7. 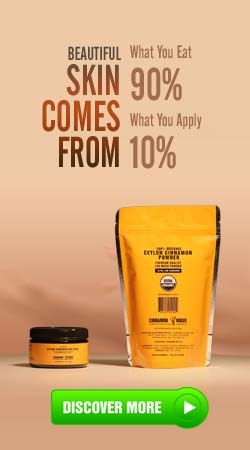 Increase in Brown fat – Yes brown is good but white fat is not good. Brown fats apparently helps burn more energy for body heat and while helping to reduce white fat. This study from the New England Journal of medicine found brown fat activity increased in both healthy and obese subject when exposed to cold temperature for 2 hours at 61°F (16°c). However Brown fat activity was significantly lower in the overweight or obese subjects than in the lean subjects. In our opinion that indicates a health program of diet and exercise is also needed to get you to an ideal weight. 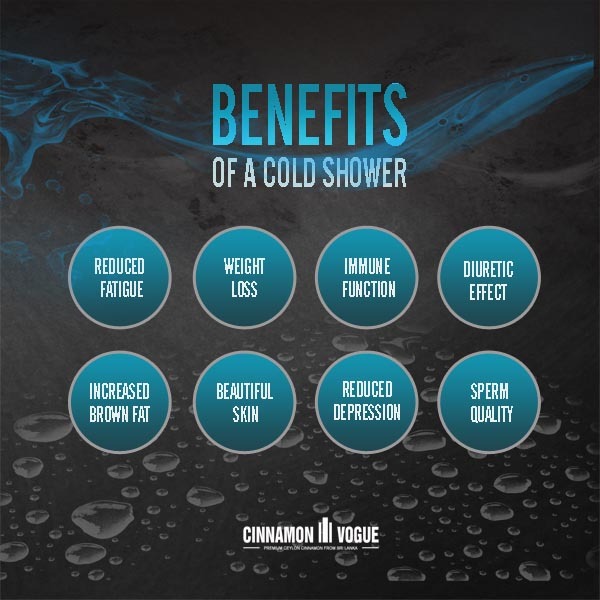 For us a cold shower was the ideal final tool to get rid of stubborn belly fat and a weight loss plateau. According to this Time Magazine article Brown fats could be used to counteract or prevent diabetes, obesity and other metabolic disorders. 8. Increased fertility in men – This study found that an increase in internal temperature from 28°C (control group) to 33°C (for treated) for men resulted in higher sperm mortality. Logically it seems fertility is improved with lower temperatures. According to this National geographic article, the Fall baby boom could be explained by the increase in conception rates in the previous winter. Perhaps an ice cold shower is just the thing for higher quality sperm. 1. Increased heart rate – If you have a heart problem then cold showers are not a good idea. In this study we cited before at point  Cold water immersion (14 degrees C) increased heart rate and systolic and diastolic blood pressure (by 5%, 7%, and 8%, respectively). 2. Increased Blood pressure - This review of studies show that the body experiences an increase in heart rate, blood pressure and a decrease in cerebral blood flow. While that may be alarming for people with heart conditions and high blood pressure, the benefits of an improved metabolism may outweigh the small increase in heart rate and blood pressure we feel. Still be extremely careful if you want to do a cold shower especially if you have a heart condition or high blood pressure. 3. Hypothermia – Water colder than 61°F (16°c) maybe cause hypothermia. This is a condition when a body dissipates more heat than it absorbs. In humans, it is defined as a body core temperature below 35°C (95°F). Symptoms depend on the temperature, and can vary from person to person depending on body mass, age, height and health. In mild hypothermia there is shivering and mental confusion. 4. May effect muscle mass – This extensive study found gains in muscle endurance capacity (but not strength) were significantly smaller in the arm that was treated with cold water immersion. Katherine Hepburn famously had cold showers. Athletes like LeBron James Kobe Bryant apparently use cold ice baths for reducing inflammation. Movie character James Bond had a Scottish shower, which involves a cold shower at the end of warm shower. What we learnt from this experience is that while cold showers are not the be all and end solution, it is a useful weight loss tool that may contribute around 5% to the ultimate weight loss goal. Cold showers alone will not help you lose weight. It should be part and parcel of an excellent diet, good nutrition, varying what foods you eat, and moderate exercise. Our greatest weight loss goals were achieved with the Keto diet, but cold showers gave us the final push. What was surprising were the other benefits such as a reduction in stress, reduced depression, healing, inflammation and beautiful skin. We felt far more energized and our immune system seemed to be excellent condition. While a cold shower may not get you the same level of benefits as immersion in really cold water as done in these experiments a cold shower maybe be really good. Most people who try a cold shower continue the practice despite the trepidation and initial mental anguish. 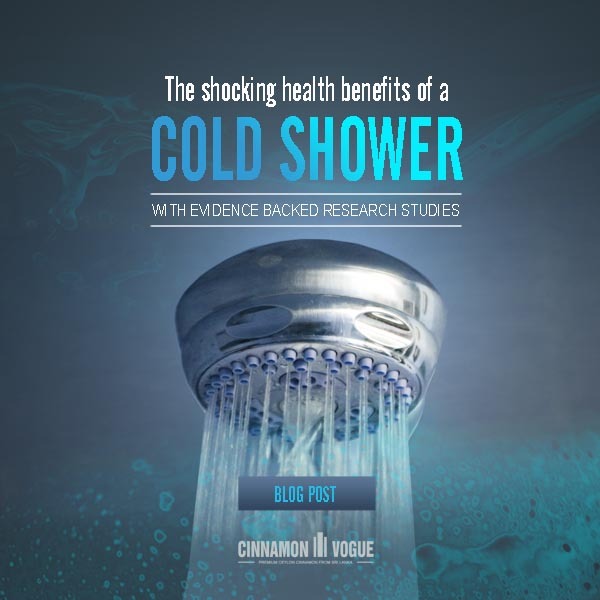 While a daily cold showers may not be practical, intermittent cold showers maybe an option for better health. But a good hot shower is also essential to wash away accumulated grime and excess body oil. This entry was posted in Health & Fitness and tagged blood pressure, brown fat, cold shower, COPD, depression, fatigue, fertility, health, heart rate, hypothermia, inflammation, muscle mass, side effects, skin health, sperm, weightloss by . Bookmark the permalink.